Intel’s latest solid state drive featuring 3D Xpoint technology is the company’s fastest yet. The Intel Optane SSD 905P supports sequential read/write speeds up to 2600 MB/s and 2200 MB/s, respectively, and Random 4K read/write speeds of 575,000/550,000 IOPS. Real-world performance will likely be lower, but early benchmarks suggest the new SSD is the fastest consumer-oriented storage device you can buy right now… but you’ll have to spend a lot of money to buy it. Price start at $599 for a 480GB Intel Optane SSD 905P. At that price you get a 2.5 inch drive. There’s also a 960GB half-height PCie x4 version priced at $1299. The 480GB version should be compatible with desktop or notebook PCs, while the 960GB model is clearly designed for desktops… but if you really want to use it with a laptop there are ways to do that. AKITIO just unveiled a new Thunderbolt 3 dock that comes bundled with the 960GB Optane SSD 905P. It’s called the Node Lite PCIe Box, and it will go up for pre-order in June… for folks willing to spend an awful lot of money to add almost 1TB of super-fast storage to their laptop… and who don’t mind that they’ll only be able to use that storage when their laptop is plugged into a desktop dock. 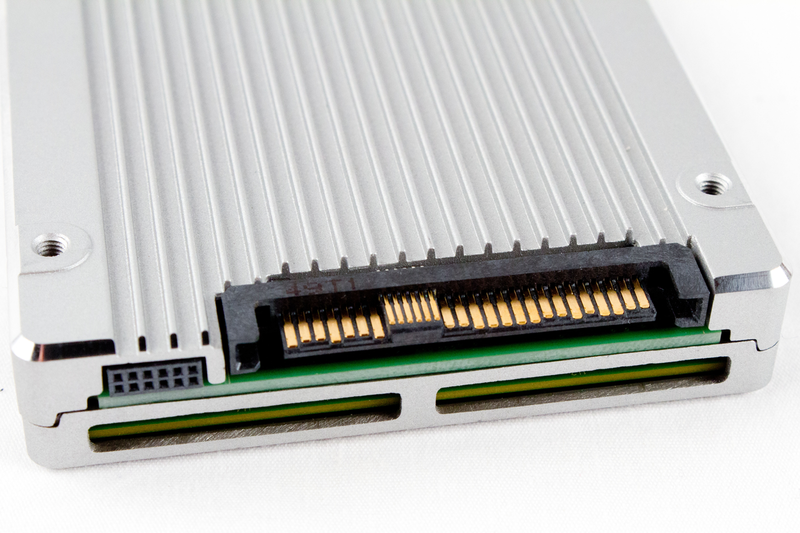 How do you connect a 2.5″ drive via PCIe? I wonder if the U.2 SATA connection would limit the throughput though. U.2 is a completely different standard and use Pcie not Sata, though drives use the same 2.5″ size but have different interface. Also motherboards needs to have support for U.2, which is not so common. M.2 is based on PCIex3 while this SSD requires PCIex4. Simply put, M.2 is too old and not fast enough to support the speeds this SSD requires. The next standard that might be the successor to M.2 and what this new SSD might eventually use is NF1 but that’s only in the proposal stages right now. Not to mention PCIex5 is just over the horizon. Idk much about U.2 though, up until today I wasn’t aware of U.2’s existence. Wikipedia says that M.2 can be PCIe gen3.0 up to 4 lanes… which happens to be exactly the same speed (gen3.0) and number of lanes (4 lanes) as the 905p. U.2 just has cable support and details for better thermals. It looks like you are getting your PCIe gen and lane numbers mixed up. Yeah I misread the newegg listing as this SSD requiring PCIe 4.0, but upon further research, PCIe 4 isn’t commercially available yet despite being announced a long time ago. So in that case yeah I’d agree that an M.2 version would make perfect sense for consumers since almost no consumer motherboard or laptop out there supports U.2 as far as I’m aware. U.2 connects directly to mobo via pci-e with 4 lanes support. I am serious. I think only the latest intel mobo has them.